If you’re looking for a portable storage device that has more capacity than your average thumb drive, you will be met with a bunch of options to choose from, and perhaps the Crucial MX300 SSD is one of them. 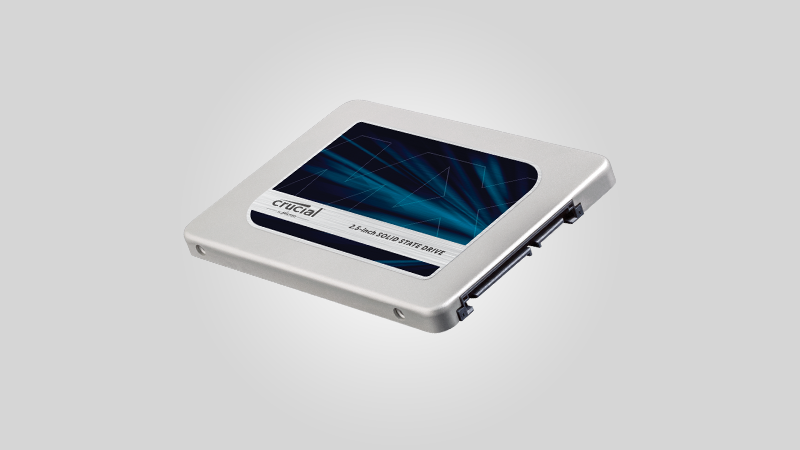 What makes this SSD different from the many others is that it is quite competitively priced. However, don’t let its price point fool you into thinking that there were some corners that were cut with regards to how it performs as it can deliver a speedy performance the likes of higher-end models. What it uses is efficient 3D flash memory to achieve its better-than-average performance. Furthermore, it even has strong security with hardware encryption. As opposed to the traditional, planar 2D flash memory, the Crucial MX300 SSD utilizes 3D flash memory. In other words, if you think about it as each memory cell to be one person, then when comparing 3D flash memory can be compared to a high-rise building whereas 2D flash memory is that of a single-family home. Hence, you will be able to house in a lot more people with the former, while still being located on the same land surface area. For comparison’s sake, the MX300 SSD is different from the Samsung SSD 850 Evo, which uses 3D flash memory as well. For one thing, Crucial’s drive is available in fewer capacities, them being 275GB, 525GB, 750GB, and 1TB. For Samsung’s drive, it can be purchased from 120GB and all the way up to 4TB. It should be noted that when the MX300 was first released, it was only available in a single capacity of 750GB. Ironically to its name, the Crucial drive is missing out a bit on “crucial” features, especially letting users take advantage of the ability to customize overprovisioning. This is a predetermined amount of storage space that is placed aside to allow for better efficiency for the drive. Another feature that is missing is the ability to boost speed with the use of the host’s computer system memory as cache. Both of these benefits can be found on the aforementioned Samsung drive. But what you do get with the Crucial MX300 SSD is a pleasingly and relatively more affordable storage drive. Also, it does support the highest AES 256-bit hardware encryption, which does make it great for business users who are looking to keep their files private and safely secure.